Fashion Show & Tea Fundraiser. The Fashion Show and Tea is a Memphis tradition operated by the volunteers for the sole purpose of raising money to support the Memphis community. Enjoy a lovely lunch while enjoying clothing designs from merchants in our Memphis community. Ticket sales will start soon. 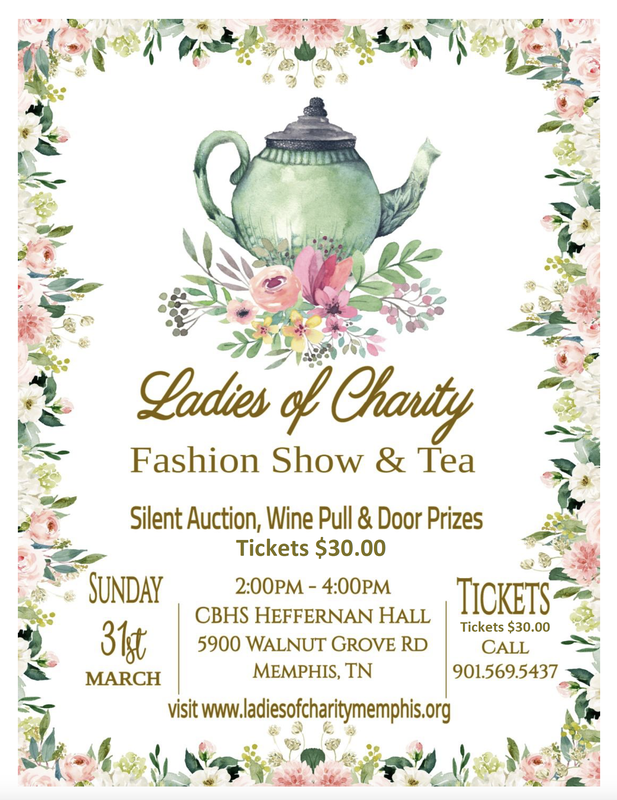 Contact Patti via email for more information about our Ladies of Charity Fashion Show and Tea fundraiser. Fashion Show & Tea Invitation pdf. WOULD YOU LIKE TO BECOME A ​SPONSOR?